CocoTherapy Organic Virgin Coconut Oil is an all natural, USDA organic oil that can be given orally or topically to provide medium chain fatty acids to cats, dogs, and birds. Each jar of this pristine coconut oil was extracted from fresh, organically grown coconut that was then cold-pressed in small patches to ensure its quality. 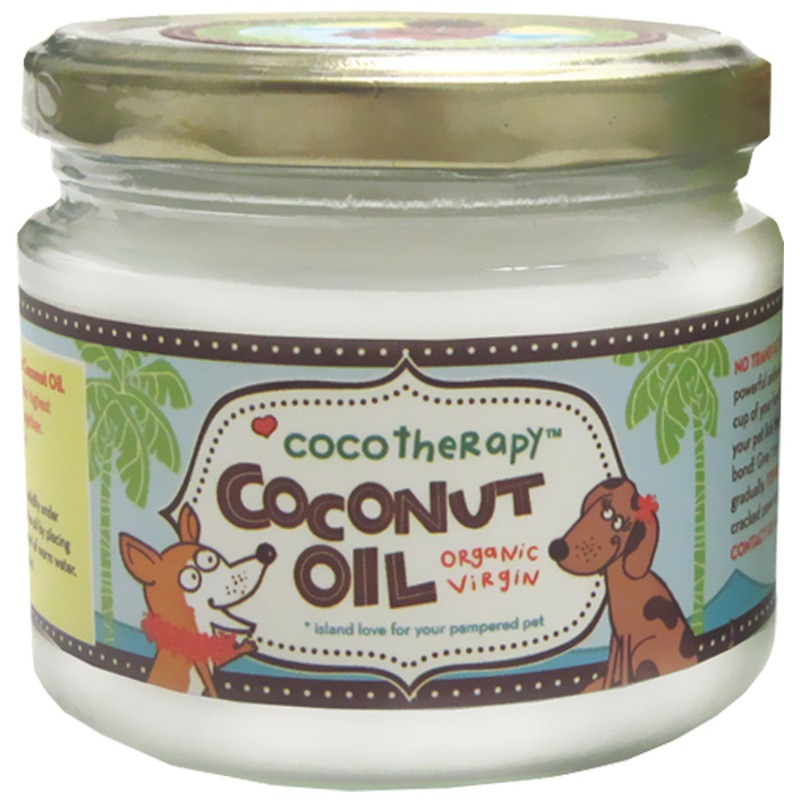 CocoTherapy Organic Virgin Coconut Oil can be applied directly to hot spots, dry skin, and cracked paws or fed orally to improve skin and coat health. This jar contains 8 fluid ounces of the oil but a larger jar that contains 16 fluid ounces is also available. Promote healthy skin and coat in your pet with an organic, all-natural oil that is easy to use and get a jar of this organic virgin coconut oil for your pet today!